Any person who is 18 years of age or older with high school graduation equivalency may audit a course (developmental courses excluded). Auditors are not expected to complete assignments or take exams. At course completion, the auditor does not receive a grade or course credit. Admission to class as an auditor may require approvals from various school administrators including an advisor, department chair, instructor and the Admissions office. Fees for audited courses are assessed on the same basis as fees for credit courses. Registration is on a space available basis. Subsequent enrollment in future semesters may require an application for readmission. Per Tennessee Code Annotated, 49-7-113 and TBR Guideline B-060, Tennessee residents who are 60 years of age or older or are permanently disabled Tennessee residents may audit courses without payment of maintenance, campus access, student government, recreation center, technology access, international education, sustainable campus and late registration fees. However, all applicable special course fees including online fees are charged. Students meeting these criteria usually register during the late registration period. Prior to admittance, the university or college may require an affidavit or certificate from a physician or an agency verifying the applicant’s disability status. 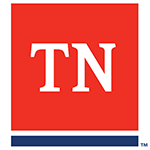 Individuals domiciled in Tennessee who have retired from state service with 30 or more years of service, regardless of age may audit courses at any state-supported college or university without paying tuition charges, maintenance fees, student activity fees or registration fees. However, this privilege may be limited or denied by the college or university according to space availability. All applicable special course fees including online fees are charged.